As a group, Cuban immigrants to the United States have been a great success. Their success has been because, like all immigrants, they come to the United States seeking opportunity. 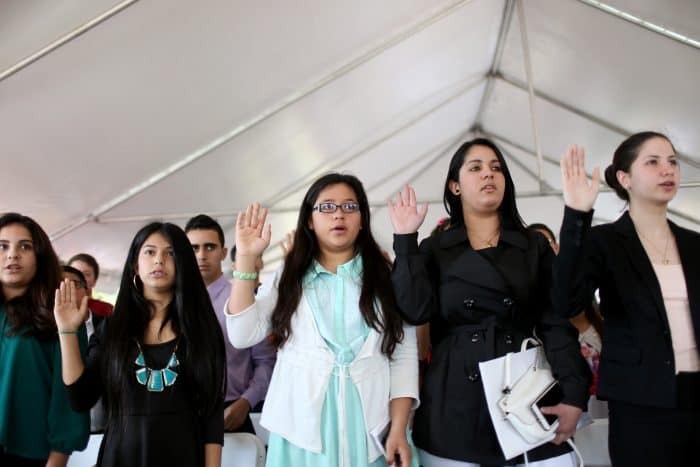 They work hard, seek education, take care of their families and while they assimilate as quickly as they can, they retain a remarkable pride of national origin. They live in Cuban neighborhoods, retain their Spanish fluency and concentrate in the State of Florida. In just one generation, they have produced a viable presidential candidate. Remarkable. The U.S. is in the throes of immigration reform, and we can learn a lot from our own experience with how we are treating the Cubans. A little history: Many Cuban migrants, especially the initial cohorts, came because of the change in government in 1959 would mean political persecution. Some refugees came out of fear of economic restrictions. 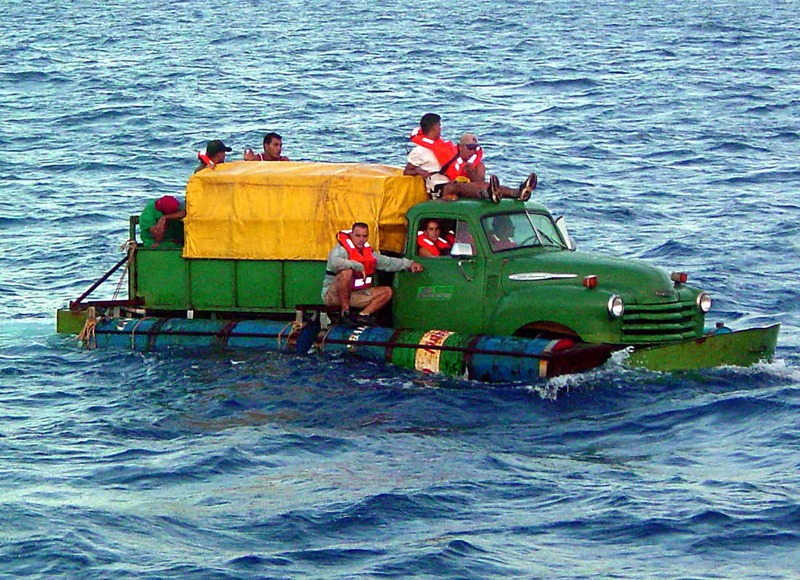 The great majority of Cubans who’ve arrived since the mid-sixties would qualify as economic refugees. Some of course, were and are, ordinary criminals. As a result of the Cold War tactics of the United States, many Cubans served from the earliest days in the U.S. military and intelligence services. I suspect that most Cuban-Americans would agree – at least privately – with this characterization. But I want to remind you that as human beings Cubans are no more talented, civic-minded and disinclined towards crime than any other immigrant group to the United States. Cuban achievements occur in spite of the fact that they typically have lower English proficiency, lower family incomes, and lower educational attainment than other groups of immigrants. They are overwhelmingly people of color. But something happens to Cubans that is denied to every other ethnic group since the imposition of immigration quotas before and just after World War II. Cubans, even those who went first to Mexico in order to sneak across the border, are welcomed and supported with quick access to legal residence and citizenship. Those rights don’t just deliver the right to remain in the United States, they bestow access to the full panoply of social services available to every other U.S. citizen. If an undocumented Cuban shows up on land in the United States, “They get a work permit, social security card, public assistance for food and accommodations, Medicare if eligible or Medicaid. They are not, as refugees, put in jail until their case is decided, but immediately paroled, and after a year can apply for permanent residency (green card) and citizenship after 5 years. Children can go to school without fear of arrest.” For undocumented Cubans, “The treatment is 180 degrees different from others. …” Compared to any other immigrant group, legal or illegal, Cubans are mollycoddled. The result: Cubans have prospered, quickly becoming a viable, contributing part of the American nation. Big surprise. The current argument is to find a way to withdraw the special status of these now politically powerful voters. I am not taking sides in that fight. My purpose is to point out the elephant that no one is talking about. The continuing liberal treatment of these migrants has created what every reasonable U.S. citizen hopes will happen to our immigrants: They quickly succeed. Withdrawing privileges from Cubans will be difficult, as the (largest) swing state of Florida has become in effect, a gerrymandered district of Cuban sentiment and support. Oddly, our political inability to end the special treatment of Cuban migrants – about half of whom these days are undocumented – could have an opposite effect. I suggest that we look at immigration reform with an eye to what we can learn from our “Cuban immigration policy.” That policy is, succinctly put: Once they are here, we welcome the immigrants into the economy and the culture. They succeed, and so does the country. Michael Crump is a retired former professor, former human resources consultant and former lot-of-things. He lives on, and writes from, a small coffee farm in Turrubares. His novels, “Candyman’s War” and “The Oligarch,” are set during the Guatemalan civil war.